(Leer en español) Easter in Seville is the most important date of the calendar of the city. These are days when many visitors come to the city to live with passion the Processions or Stations of Penance. 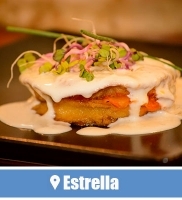 In this article we will try to discover the best places in Seville for Easter. Special and popular streets or squares to see the figures or statues (Pasos) if this is your first time. We already recommend you in the Easter Guide for visitors that if you do not want to complicate the experience, is better to look for wide avenues. We also explain what you will see in the Processions in the article How is Easter. But now we want to give you the keys to the places where the passion is greatest. The best places in Seville for Easter, where there is activity almost daily and more than once every day. The Argote de Molina street, popularly known as Slope of Cod (Cuesta del Bacalao), also has a major role in Easter. It is perpendicular to the Alemanes street and is just opposite the Door of the Patio of the Orange Trees of the Cathedral of Seville. As the Cathedral is the arrival point of the Stations of Penance for the common way for processions (Carrera Oficial), some of them undertake their return through this street. It makes Argote the Molina one of the best places in Seville for Easter. 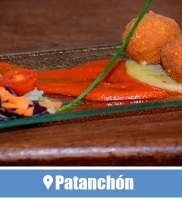 Since Palm Sunday, La Cena or La Hiniesta pass by Argote de Molina. San Esteban, La Exaltación or Sagrada Mortaja are some of the Processions that also do it. Also highlights the passage of La Macarena in the Sevillian Madrugá (Night from Thursday to Friday). 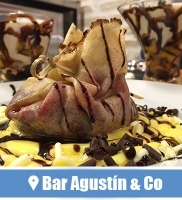 If you want to see the exit of the penitents through Argote de Molina, Antigüedades Bar is our favorite option for to taste tapas in Easter. 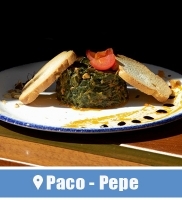 We already made a virtual visit to this restaurant in Seville. Known as ‘the alley’ (callejón), is right in front of the Giralda. Very narrow, but very resorted for the return of the Stations of Penance from the Cathedral. The difficulty of the bearers (costaleros) to direct the figures with hardly space gives more spectacularity to this place. In addition it is a good place from which to see the passage of others Processions by the Alemanes street. There are Processions for here every day. From La Cena on Palm Sunday to La Resurrección the following Sunday, more than a dozen processions run through it with the imposing Giralda in the background. Beso de Judas, La Sed, Panaderos, Montesión, Silencio, Los Gitanos or Vera Cruz have passage through Placentines street. 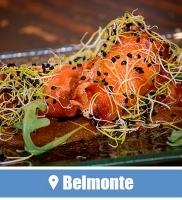 For tapas in Easter in Placentines, we recommend Pelayo Bar, to which we already made a sight. In addition to the pass of La Macarena for her Arch, another of the most recognizable Arches or Doors of Easter in Seville is the Postigo Arch. The pass by Dos de Mayo Street through or next to the Postigo Arch in Easter is also a spectacle. From Palm Sunday with Jesus Despojado and La Paz until Good Friday, Dos de Mayo Street has a major role. Estudiantes, Gran Poder, Calvario, Esperanza de Triana or La O, guide their steps through this street in Easter. 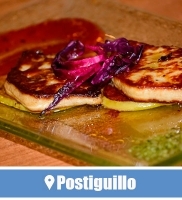 To taste tapas in this area, we recommend Postiguillo Bar in another article. At the back of the bullring there are also extraordinary moments in Easter. The Adriano and Pastor and Landero streets are also course of several Stations of Penance, two of the best places in Seville for Easter. Although several coincide with those that pass through the Postigo Arch, we want to emphasize that La Estrella passes Adriano on Palm Sunday. San Gonzalo, Esperanza de Triana, Carretería or La O agglomerate many people in these streets in Easter. 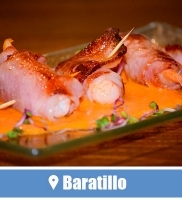 Above all, the role of the Baratillo in this area is latent on Holy Wednesday. 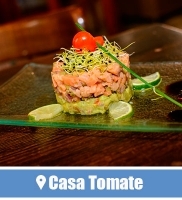 To taste tapas in Easter in this area, we already saw the best bars at the Maestranza. We also have seen the relationship between bullfighters and Easter in Seville. Where the expected Sevillian Easter begins with the Procession of La Borriquita. A square and a church with great protagonism throughout the week. Cautivo, Santa Cruz, Carmen Doloroso, La Sed, Buen Fin, Lanzada or El Silencio also pass for Salvador Square. In addition the atmosphere in Salvador Square is extraordinary during all the days of Easter. Moreover it is one of the best places in Seville every weekend of the whole year. A magnificent place to get closer to Sevillian life and culture. 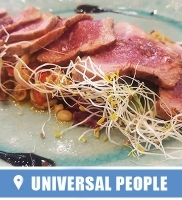 To enjoy tapas in Easter at Salvador, we recommend Universal People and Bar Agustín & Company, a restaurant that we also visited previously. We have discovered you more curiosities and the history of Salvador Square too. The Alfalfa Square and its surroundings have less pass of Processions than other places but it is also a popular place to enjoy Easter. The great atmosphere during each day and night bring a special feeling to Sevillians and visitors alike. Beso de Judas, San Benito, Candelaria, Carmen Doloroso, Negritos or La Trinidad among others can be seen at La Alfalfa. 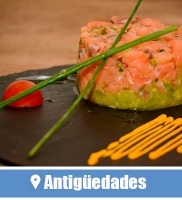 To enjoy tapas in Easter at La Alfalfa, we already saw some options, such as Bodega Donaire, typical Sevillian tapas bar. The fact that there are few Processions that run through Mateos Gago street, also makes it one of the best places in Seville for Easter. 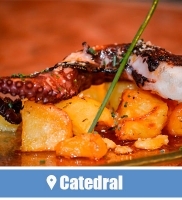 It is in front of the Cathedral and is the main gastronomic street of Seville, hence that going for tapas in Mateos Gago is a good idea. San Bernardo and above all La Santa Cruz on Holy Tuesday are the key Penitence Stations by Mateos Gago. 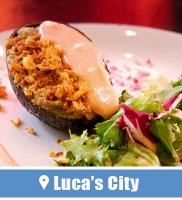 The atmosphere is fantastic to go for to enjoy tapas any day during Easter. 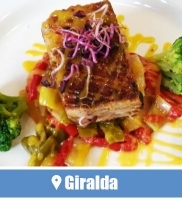 We recommend you some tapas bars around the Cathedral, those with the best views of La Giralda, the highlights in the Santa Cruz and, especially in this case, the best tapas bars in Mateos Gago. 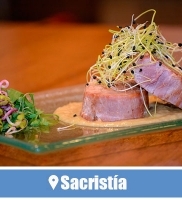 As you have seen, these are just some ideas about where to enjoy both Easter and Sevillian gastronomy during these special days. 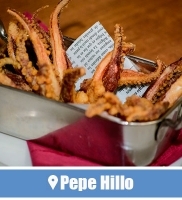 The best places in Seville for Easter are all. These are religious days, but also of joy, of meetings and of new experiences after waiting for a whole year.